When working on large projects, you need to find the right suppliers. You cannot take chances on running out of key inventory pieces by working with cut-rate wholesalers who lack the experience or raw materials. As a business owner, you know how important customer service is. You strive to give your customers the highest level of care, and you expect the same courtesy from the wholesalers that you work with. Finding the right company to buy your raw wood and windows from may be a simple matter, but luxurious natural stones can be a little more challenging. Chances are good that the suppliers you find won’t be in your area, so there won’t be an opportunity to speak with the warehouse manager in person or look at the inventory. This makes it even more important to find reliable companies that will provide you with the service and support you need. When it comes to natural stone tiles for your large projects, Nalboor is the top choice for contractors around the nation. Large projects demand a great deal of your time and energy. Once the colors and finishes are chosen for each section, you need to place an order so that your supplies will be on hand and ready to go. Mistakes lead to costly delays that can push back your entire timeline. While some problems are impossible to avoid, we do everything we can to minimize mistakes on our end. Order information is confirmed with you and carefully reviewed when the shipment is prepared. We pay close attention to detail when packaging your merchandise to reduce the possibility of breakage. You can count on your Nalboor shipments arriving largely intact and on time. Whether you need white marble stones for a single lobby of a hotel or you’re finishing all the guest bathrooms in Arizona ivory travertine, we’ll work hard to ensure that you’re pleased with our products and service. As you work through the project, you may need large amounts of natural stone tiles. Once the decision is made to go with a certain color in the lobbies, reception rooms or powder rooms, you cannot take chances with running out of materials. You won’t want to change colors or stone types halfway through the project, but searching for another supplier will consume a great deal of your time. Removing tiles that are already in place is simply out of the question, so you need to find a supplier with a reliable and stable inventory. 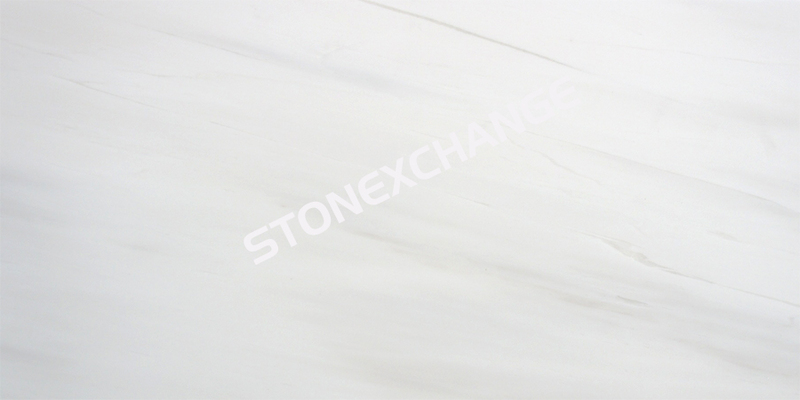 Nalboor is a subsidiary of StonExchange, a company that owns quarries overseas. We’re able to guarantee your supply of our stock stones because we know roughly how much more is available at the source. Running out of supplies isn’t a concern when you work with our team, and that helps ensure that you avoid delays and keep the project on track. The cost of a project can start to skyrocket as you start ordering more materials. Streamlining your ordering by using consistent materials throughout the project will allow you to buy in bulk and save more money. Nalboor offers special discounts for larger orders, but we also have wholesale pricing for smaller orders. This means that you can choose a different color for each room or something special in the banquet halls and still save money. Ordering from our own quarries and manufacturing centers allows us to minimize markups and pass the savings on to you. Some of our customers use the savings to increase profit margins, and others pass the savings on to their customers. When you work with our experienced team, you’ll have that choice. We stock a range of colors and styles, including coral stone, champagne white limestone, rojo Alicante and adalia cappuccino. This allows you to customize the look of different resorts to match your clientele’s needs. Mix and match colors to develop your own custom patterns, or go with solid shades across large areas to make different rooms more impressive. We carry an excellent inventory of natural stones, and we also have a range of engineered stones and ceramic tiles to suit all of your construction and design needs. We hope to be your main source for natural stones, and we encourage you to work with our customer service representatives to find the right colors for all of your hospitality projects. Large, one-foot-square tiles are in high demand, but that’s not the only size that you need to finish your project. That’s why we carry a range of different sizes, including shower curbs, subway tiles, mosaics and other dimensions. We can supply you with the smaller border tiles you need and larger field tiles for finishing off lobbies, stairwells, bathrooms and areas throughout the resort. You can order all the tiles you need at one time, or you can place smaller orders as needed. We’ll route shipments to your primary business address or individual job sites based on your needs. Any time you can minimize cutting and fitting, you’ll streamline installation and reduce labor costs. While you may be accustomed to custom cutting other tiles, you won’t always have to when you work with Nalboor. If you have special sizes that you require, you can place a special order with our company. It takes a few weeks to have the orders filled, but you’ll receive high-quality stones that match our regular inventory in color and durability. There is a minimum order requirement, but this is a cost-effective option when you need tiles that are just a bit longer or wider than our regular stock. The prices are still attractive, and you can simplify the work at your job sites while minimizing seams in your natural stone finishes. We offer shipping across the nation for your convenience. Our Miami distribution center has contracts with top shippers to provide you with the great service you deserve. Orders are filled as quickly as possible, and we take great care to protect your tiles and minimize breakage. Our shippers treat the crates with care to further protect your order and ensure that damage to the tiles is reduced as much as possible. We’re also able to provide you with more attractive shipping rates to help you save more money. If you have any problems with your order after it arrives, we urge you to call us and give our service representatives an opportunity to take care of your issue and make corrections. When you place an order for natural stones or glass tiles, be sure to also order any necessary sealers or anti-slip protectants. Applying a protective coating for your customers allows you to take customer service to a higher level, and we take pride in offering low prices on maintenance products. We’re committed to our customers, and we hope to provide you with the quality stones that you need for any large-scale project. Contact Nalboor today to place your order or learn more about our custom ordering options. We’re looking forward to serving you, and we hope to help you make your next hospitality project a great success.